Do you really know Eleanor Roosevelt? 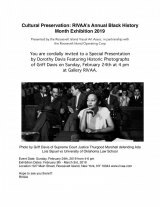 The Roosevelt Island Historical Society wants for fill you in on this remarkable woman. 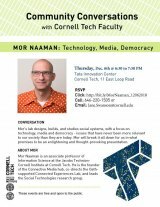 Come to the New York Public Library, 524 Main Street, on February 7th, at 6:30. 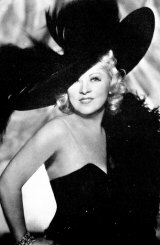 The Roosevelt Island Historical Society hosts the classic film star, stage performer and the bawdiest inmate on Welfare - the family friendly place now known as Roosevelt - Island. She'll share some intimate confessions and treat you to some film clips. It's very hush-hush. Even the location is secret. 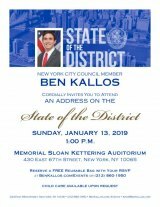 TODAY at 1:00: You're Invited, Ben Kallos "State of the District"
For Roosevelt Islanders, City Council Member Ben Kallos is everywhere, from work on our new library to an array of life-enhancing programs at the senior center and the garden being built for learning on PS/IS 217's rooftop. Toss in NYC Ferry, now in its second year. Kallos has had a hand in all of it. Now, he's inviting you to hear his annual report on the State of the District. 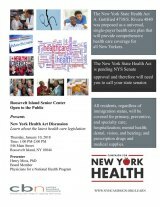 On January 10th at 1:00, the CBN/RI Senior Center, 546 Main Street, hosts a discussion about the New York Health Act, a universal, single-payer health care plan that will provide comprehensive health care coverage for all New Yorkers, now pending in the State Senate. 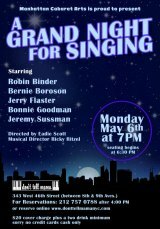 All are invited, regardless of age. Get smarter the easy way. 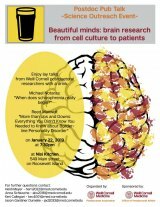 The Postdoctoral Association of Weill Cornell Medicine invites you to a seriously down to earth "pub talk" at Nisi Kitchen: Beautiful Minds: Brain Research from Cell Culture to Patients. Sadly, especially with Hudson's new and improved holiday decorations brightening Main Street, organized events have ended on Roosevelt Island. But don't despair. The Daily's on the case. We've found a bunch of activities for all ages and tastes, easy get to, starting now. Enjoy.